A mountain biker cruises along the Flume Trail after being dropped off by a shuttle from Flume Trail Mountain Bikes. With much of the snowfall melting at higher elevations around Incline Village, a lot of the local trails are now clear for hikers, joggers, and mountain bikers. However, many areas remain buried in snow, and along with heavy runoff into streams, some sections pose a hazard to those looking to get out and explore local terrain. 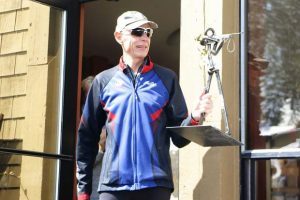 Herron warned of the threats posed by runoff from recent warm weather, and said remaining snow on trails can make it easy to become disoriented or lost. Herron recommended hikers bring proper footwear, a compass, grab a trail map from the Incline Village Forest Service Office, and to leave an itinerary with someone before heading out. Also, with vegetation drying out, Herron stressed the importance of fire safety, reminding hikers to only have make fires in developed campsites and only in fire pits with rings. With the area’s trails opening up, Flume Trail Mountain Bikes, Incline’s only rental shop to offer a shuttle service, began operations on Friday, June 23, dropping its first riders off at the top of the Flume Trail near Spooner Lake for a 14-mile ride back to the store’s location in Incline Village. According to Flume Trail Mountain Bikes Owner Max Jones, the trail is open from top to bottom with the few remaining patches of snow left, melting quickly. While the Flume Trail is now open for riders, and to those on foot, there are still many sections of the Tahoe Rim Trail, which are restricted or closed to mountain bikers. According to the Tahoe Rim Trail Association’s webpage, most of the trail is open from Tahoe City to Brockway, but as the route heads toward the Mount Rose Summit, the majority of the trail remains covered in snow. The trail opens up from Spooner Summit north to the junction at North Canyon Trail, but beyond that, remains covered in snow. Going south from the Spooner Summit the trail is mostly snow free for roughly the first five miles north of the Kingsbury North Connector. 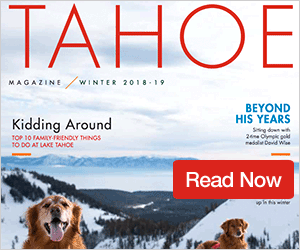 At this point, Jones said Flume Trail Mountain Bikes is still waiting for conditions to become better for their other drop off point to ride the Tahoe Rim Trail at the Tahoe Meadows Trail Head on the Mount Rose Highway. When the trail does open, the shop will provide shuttle services to the Tahoe Rim Trail on even days of the month. 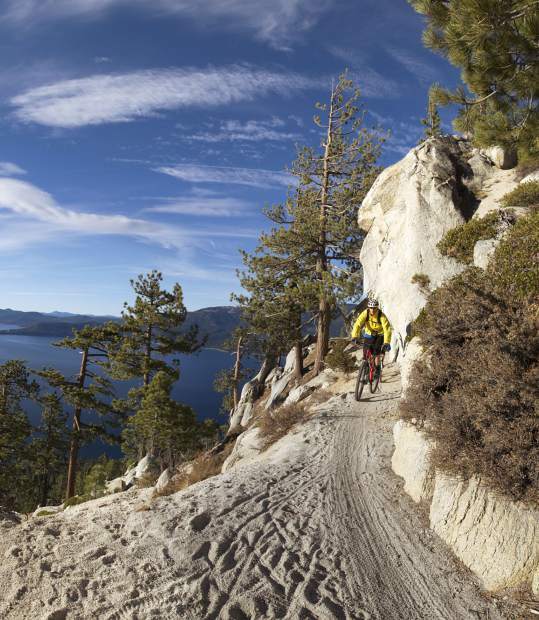 Costs to rent a mountain bike from Flume Trail Mountain Bikes ranges from $39 a day for a children’s mountain bike up to $105 for the company’s most expensive bike, and includes a shuttle pass and admission in Spooner Lake — Lake Tahoe Nevada State Park. The company also offers discounted prices for renting bikes on successive days. Without a bike rental, the shuttle costs $15 and admission into the park is $2. New this year, Jones said the rental company plans on introducing women’s clinics, which are tentatively scheduled for the fall. 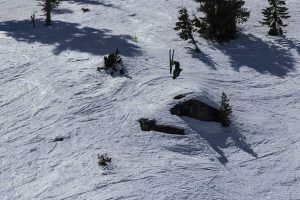 For more information or to book an online rental visit FlumeTrailTahoe.com.